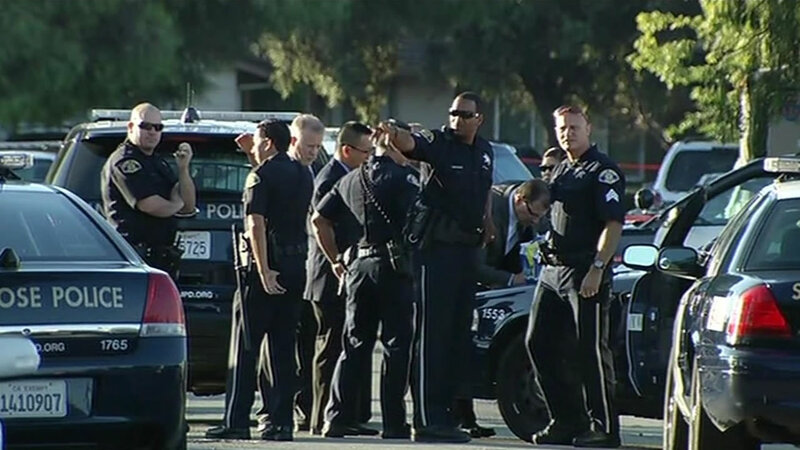 SAN JOSE, Calif. -- San Jose police have identified the suspects killed and officers involved in two separate shootings that occurred in a six-hour period between Sunday and Monday. Edrian Rivera, 22, was a stabbing suspect allegedly armed with a meat cleaver who was fatally shot by officers in San Jose on Sunday, police Officer Albert Morales said. Around 6:20 p.m. Sunday, officers responded to a report of a stabbing in the area of Virginia Avenue and South 34th Street, Morales said. Arriving officers found a 31-year-old man suffering from multiple stab wounds and took him to a hospital for serious injuries that were considered life-threatening, Morales said. The suspect fled in a vehicle that struck multiple cars, then abandoned it in the area of Kammerer and South Sunset avenues, Morales said. Two officers later found the suspect in the 200 block of Packing Place, where he allegedly ran away from them, Morales said. The officers caught up with the suspect, who allegedly brandished a meat cleaver, according to Morales. The officers shot at the suspect, later identified as Rivera, who was struck and killed, Morales said. Officer Dorn, an eight-year veteran of the department, and Officer Faye, a 12-year veteran, both shot at Rivera and have been placed on paid administrative leave, the spokesman said. The second armed suspect who died has been identified as Aaron James Phillips, 30, who was shot at by two officers. Phillips was found hours later dead from what appeared to be a self-inflicted gunshot wound, police Sgt. Enrique Garcia said. Around 12:10 a.m. Monday, officers had responded to a report from a woman who said her brother was intoxicated, armed with a handgun and was threatening to kill himself at a home in the 1300 block of San Marcos Drive, Garcia said. Officers reached the home about five minutes later, where they saw Phillips allegedly armed with a handgun and a shotgun on the porch, Garcia said. Phillips allegedly placed a live round into the shotgun and brandished the firearm at the officers, who in return shot at him, according to Garcia. Phillips then went back inside the home and officers heard a single gunshot fired from inside, Garcia said. Multiple family members exited the home through the garage, he said. Officers eventually entered the home and found Phillips dead around 6:20 a.m., according to Garcia. The two officers who shot at Phillips, Officer Bergstrom, who has served nine years with the department, and Officer Moran, a 2.5-year veteran, were placed on paid administrative leave, Garcia said. The incidents marked the Police Department's fifth and sixth officer-involved shootings this year. Anyone with information on either case is asked to call the Police Department's homicide unit at (408) 277-5283. Anonymous tips can be made to Silicon Valley Crime Stoppers at (408) 947-7867.